The party is under pressure this morning over its response to the report of the Smithwick Tribunal which found collusion over the murder of two RUC officers by the IRA. SINN FÉIN HAS been heavily criticised over remarks by its president Gerry Adams and its justice spokesperson Padraig MacLochlainn in relation to the Smithwick Tribunal report over the last 24 hours. Adams has come under pressure over comments he made on Newstalk yesterday in which he said that two RUC officers, shot dead by the IRA 24 years ago, had a “laissez faire” attitude shown towards their security. Speaking on Tonight with Vincent Browne last night, a lawyer for the Breen family, criticised Adams’s comments. John McBurney said the remarks were “insulting” and “offensive” and “quite outrageous”. McBurney with MacLochlainn on Tonight with Vincent Browne. Screengrab via TV3. He said they “had a right to take a war in the absence of political leadership” and said this was “the context” in which the murders in Dundalk happened. 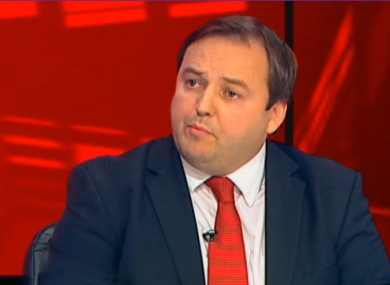 MacLochlainn with Flanagan on Tonight with Vincent Browne. 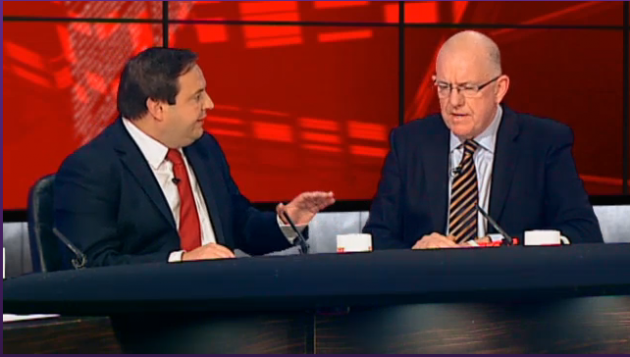 Screengrab via TV3. On the same programme, Fine Gael chairman Charlie Flanagan said Adams remarks were "quite contemptible" and said that MacLochlainn should distance himself from the comments, describing his defence of them as "outrageous". He said Adams's comments had shown that "nothing had changed". MacLochlainn criticised Flanagan pointing to violence perpetrated by Michael Collins, the man considered to be the founding father of the Fine Gael movement. He told Flanagan directly: "You would tell the Irish people that Gandhi and Martin Luther King founded your party." MacLochlainn said that Martin Luther King and Gandhi had advocated non-violence where as Fine Gael and Fianna Fáil had been born out of violence. On RTÉ's Morning Ireland MacLochlainn again defended Adams's comments, refusing to say if his party president should withdraw the remarks. He said that the report of the Smithwick Tribunal is a "disputed report" and that Adams had given an analysis of it. On the same programme, the president of the Superintendents' Association of Northern Ireland, Nigel Grimshaw, said that Adams's comments were insensitive and insulting to the families of the two men". Email “'Insulting, offensive, quite outrageous': Sinn Féin criticised over Smithwick response”. Feedback on “'Insulting, offensive, quite outrageous': Sinn Féin criticised over Smithwick response”.